Make the most of basil’s seasonal abundance with organic pesto! 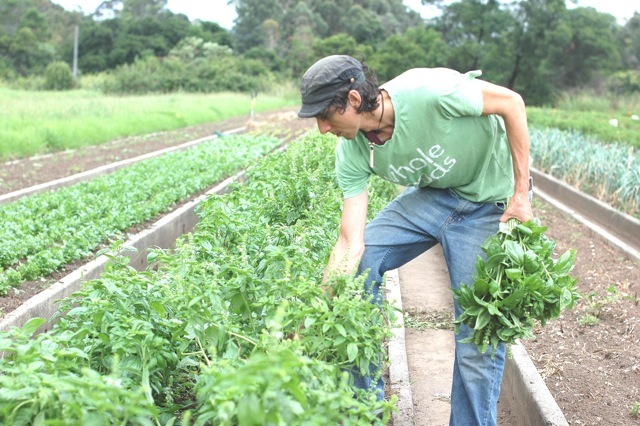 Organic basil is in short supply and constant demand throughout most of the year. However during the warmer months it becomes increasingly plentiful in the ground and on shop shelves and before you know it the crisper at home is brimming with basil, fragrant with its fresh aniseed-y smell. A big bunch of beautiful basil is simply impossible to resist! Pesto is a delicious way to use large amounts of basil and if you store it carefully (the layer of oil is all- important in preventing oxidisation) pesto will keep in the fridge for up to a month. You can even freeze pesto but if you do leave out the Parmesan and stir through after it has defrosted. This version uses cashews because they are more economical than traditional pine nuts, but feel free to indulge if you want to! Almonds also work a treat. Use pesto on sandwiches, drizzle it over minestrone or ribollita, serve with grilled or roasted veges… or if it’s super-fresh simply toss with hot pasta and enjoy! 1. 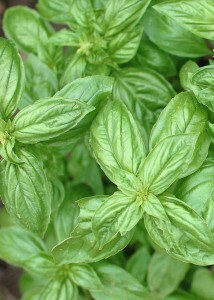 Pulse basil leaves, garlic and cashews in a food processor until they are finely chopped but not over-worked. You’ll need to scrape down the sides once or twice. 2. With the motor running, add olive oil in a thin stream and stop when the consistency is correct: it should be like a thin spread. Stir in the Parmesan. 3. 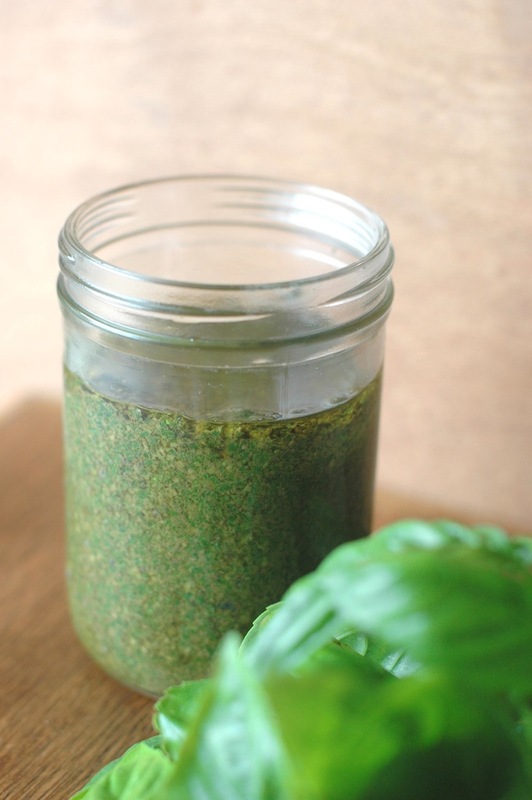 Decant pesto into a clean jar and store with a thin layer of oil protecting the surface. Hi Kim, this pesto is best consumed as fresh as possible, within 5 days. However, it’ll keep in the fridge for two weeks if stored correctly- in this case, we recommend using it in cooked preparations such as pasta where freshness is not paramount.